You have two choices: Wait for something to motivate you to get into your best shape ever, or get in shape now and be ready when that something comes along. Here's how Cory Gregory stays fit for whatever life throws at him! I was up early to train as usual one morning in the summer of 2013, but something didn't feel quite right. I knew that my goal—my assignment—was to kill it in the gym that day, but beyond that, I hadn't really set any defined goals since doing a photo shoot for "FitnessRx Magazine" at the Arnold Classic earlier that year. Until that morning, I had been too busy to even notice that I'd fallen into a rut. Ironically, that same morning one of the editors from Bodybuilding.com sent me a proof of my Fitness 360 feature. So, before training, I sat down and watched it for some inspiration. This video delved into my fitness journey, family and background, as well as my overall mindset in general. I loved it! And even though it was 4:10 a.m., a light bulb instantly clicked on in my head. I realized that I spoke so confidently because my discipline was at an all-time high when we filmed. Why? Well, it had been shot at the Arnold Classic, when I was representing the company I co-founded, MusclePharm, and I was three days out from the biggest photo shoot of my life. Immediately, I wanted that Cory back. I wanted my confidence at that level every day—starting that morning. I decided that from then on, I was going to treat every day like it was the day before a competition or photoshoot. I was going to be fit for anything! This approach paid off just a few months later, when I experienced the craziest three weeks of my fitness life. I wasn't "letting myself go" or anything when I made this decision, but I'll be honest: I wasn't 1-2 weeks away from cover shape, either. And I knew that getting there would start with the way I started my day. You saw that right; I hit the track for lunges pretty much every day. They bring my legs up like nothing else, and if I wanted to look like I knew I could—like I knew I should—lunges had to be a big part of the equation. Some days I did them with a 30- or 40-pound weighted vest on, and some days I did them unweighted. I even brought along some friends a few times. But every day, I was cooked by the time I was done with them. 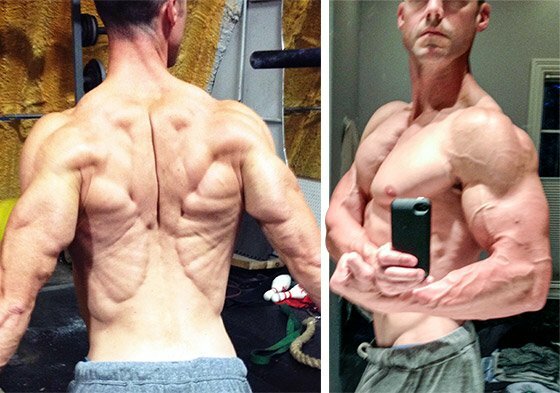 Being ripped for my 35th birthday was a goal I had always had, and I wasn't going to backslide through it. I knew I needed the perfect training split and nutrition plan to make this work. Of course, a program that intense probably wouldn't have lasted long if I didn't also know exactly why I was doing it. So I made some new goals. 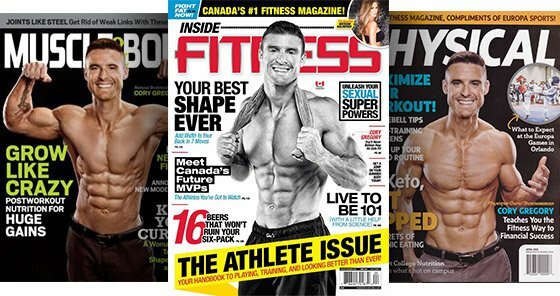 I knew I wanted to shoot a cover for Inside Fitness in Canada, and to have my second "Fitness Rx" cover as well. I also had plenty of new business goals. We had just recently signed Arnold Schwarzenegger, and I wanted to launch the Arnold Line with all the fanfare it deserved. Somewhere in the middle of all this, I was also going to turn 35. Being ripped for my 35th birthday was a goal I had always had, and I wasn't going to backslide through it. I knew I needed the perfect training split and nutrition plan to make this work. Enjoy our EXCLUSIVE MusclePharm Combat Powder Strawberry Cheesecake Flavor only at Bodybuilding.com! Circuit: Perform as many rounds as possible in 20 minutes. Challenge yourself each week to get more sets. Circuit: Perform as many rounds as possible in 15 minutes. Challenge yourself each week to get more sets. Rotate between three arm routines: German Volume Arms, Arnold Arms with a Twist, and Arms on Blast. For all movements, perform 50 reps before moving to the next. Use weights that are as light as necessary. Perform entire series twice. In not too long, I had the opportunity to put all this discipline to the ultimate test. First, I hit the shoot for "Inside Fitness Canada," on September 16. On September 17, my birthday, I celebrated by eating one sliver of pumpkin pie—my favorite. But it was hard to relax, because my next shoot, for "FitnessRx," was going to be just two days later, in California. On September 18, we launched the Arnold Line with a huge party in Venice Beach, and the next day, I was ready for my shoot. I went straight from there to Las Vegas for the Olympia trade show, where aside from all the wonderful craziness of the expo and the Bodybuildng.com supplement awards, I ended up shooting three more covers: "Physique 3D," "Muscle & Body," and "Physical." I was as cool as could be through all of this, because I had complete confidence that my diet and training were up to par. But then I got home, and things got even crazier. My buddy, Nick Showman, called me and said, "Hey Cory, you know the Natural Ohio Bodybuilding Association show is on Oct 12. What are you looking like?" I hung up and began to think about it. It had been five years since I'd been on a bodybuilding stage. That's a long time, I told myself—but maybe that was exactly why I should do it. I had just witnessed all of the excitement around bodybuilding from hanging with Arnold and being at the Olympia Weekend, and now there was a show just two miles from my house, and my family could even attend. I was all in! 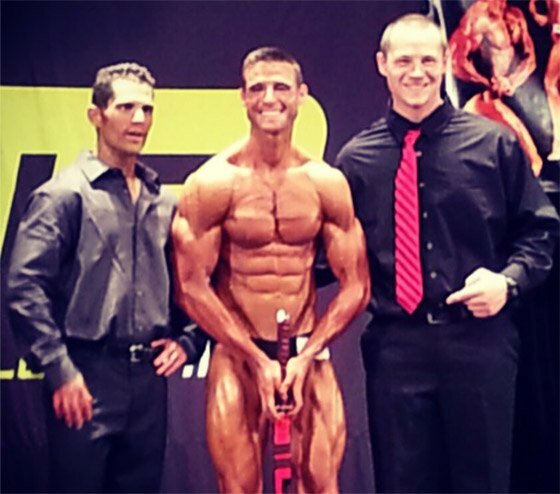 It had been five years since I'd been on a bodybuilding stage. That's a long time, I told myself—but maybe that was exactly why I should do it. I weighed about 173 pounds, and I wondered what I would look like at 165 pounds. Sure, I wouldn't outsize anyone, but would anyone else be as lean as me? So I set my goal: Get crazy-peeled like I had never been before. And I was in a great position to get there. Get yourself into similar shape and get ready to reap similar rewards! Helps pack on serious lean muscle size and build mass! Treadmill cardio workouts can be a drag. Try these five dynamic cardio workouts that are more fun and more effective than your usual 20-minute jog! Don't wear yourself down trying to meet unreasonable deadlines. Live the fit life one day at a time! Here's how to make it work. 55 Workout Routines For 2015! Whether you're training a single body part, exercising with limited equipment, or just doing cardio, we've got the perfect workout for you! Check out this collection of 55 epic, effective workouts.